Some 80% of Apple Watch owners that are eligible to use Apple Pay have already done so, research from Wristly has found, with 79% saying they prefer using the mobile payments service on their Apple Watch over their iPhone. More than half (51%) describe using the service on their Apple Watch as “magical” and 42% describe it as “convenient”. 11% of users have configured more than four cards in their Apple Pay setup on their Apple Watch and 69% have set up one or two cards. 88% agree that is protects their privacy. 5% are unsure about the benefits of the service. “Our data suggests that Apple Pay on the Watch could eventually reach an adoption rate as high as 95%,” says Wristly founder Bernard Desarnauts. 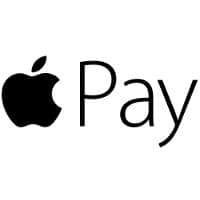 “Sixty-two per cent of our panelists report a preference for doing business with merchants due at least in part to that store’s decision to support Apple Pay. “Early in June, we reported that 65% of the members of our panel who had set up Apple Pay were using it on a weekly basis. Fast forward to August and, two months later, a total of 78% of our panel members who have set up Apple Pay are reporting using it at least once in the last week and 14% claiming a daily (or more) usage rate.